A 45-year-old man, Lucien Tosume, has been arrested for possessing a human skull. 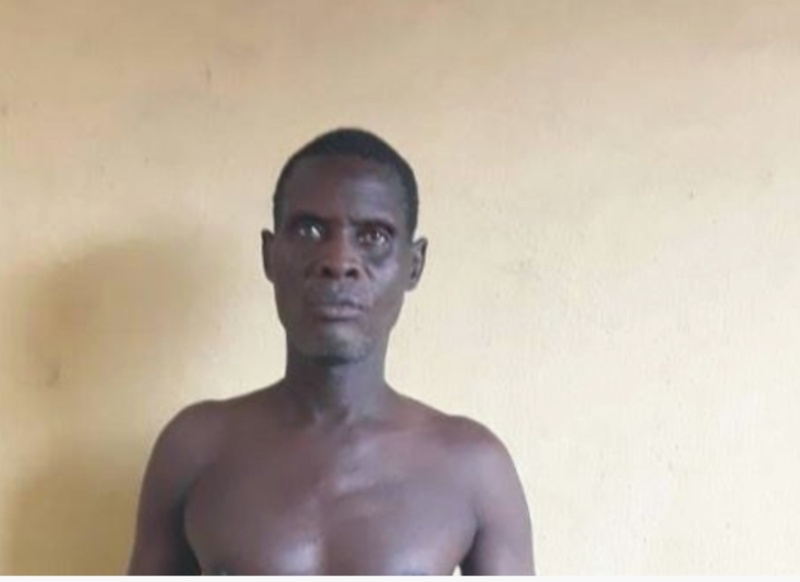 Men of the Lagos State Police Command arrested Tosume was arrested following an intelligence report in Iraye village, Sagamu Local Council, Ogun State. Lagos State Police Command spokesman, Olarinde Famous-Cole, revealed that suspect, who deals in the sale of human skull, was accosted by police intelligence officers, who disguised as buyers. After negotiation, the suspect agreed to sell a skull for N150,000, but the officers convinced him to sell it for N81,000, which he agreed to. Tosume was arrested immediately he received the payment. The suspect who confessed to the crime, said he sells fresh skulls for N1 million. The police revealed that while investigations are still on, the suspect will be transferred to Panti for further questioning.